These Honey Cake is wonderful for an afternoon dessert with your family and friends. 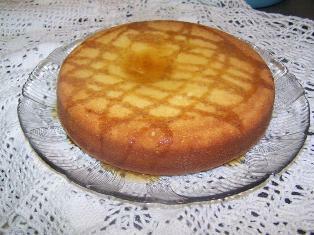 Make your very own Honey cake at the comforts of your home, just follow simple steps! Begin by whisking together in a bowl the flour, baking soda and salt. Meanwhile preheat the oven to 325 F, then stray with cooking spray the 2 cupcake pans or 2.9 inch round cake pans. Next, mix together in a large bowl the sugar, honey, eggs, oil, kefir, lemon zest, lemon juice, orange zest and orange juice until well combined. Add in the dry ingredients and combine until just incorporated. Before pouring the batter into the cake pans you have to add boilng tea into the honey mixture and combined. Finally, pour batter into prepared cake pans and bake afterwards for about 15 minutes for the cup cakes. For the larger cakes, bake for about 35-40 minutes. If you like, you can garnished the cakes with honey and caramelized apple.